After carefully making our precarious 5 mile exit from Nutallburg, the next stop on our West Virginia ghost town tour was Thurmond – aka the place that seemed like the easiest to find out of the multitude of dubiously mapped options. Thurmond during a more bustling time. 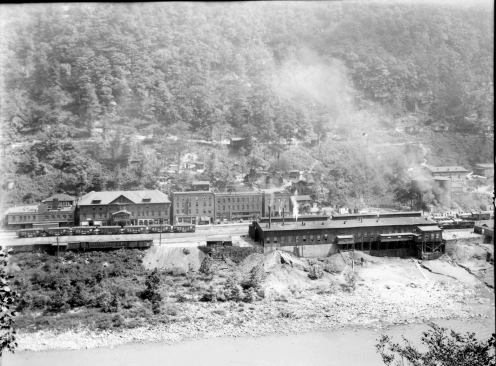 Unlike Nutallburg, Thurmond was bustling epicenter of train travel and commerce, seeing more transportation of coal, rather than the manufacturing of it. Formally incorporated in 1900, the town was named for Confederate Captain William Thurmond, who was offered 73 acres of land along the river as a good will gesture for just $20. 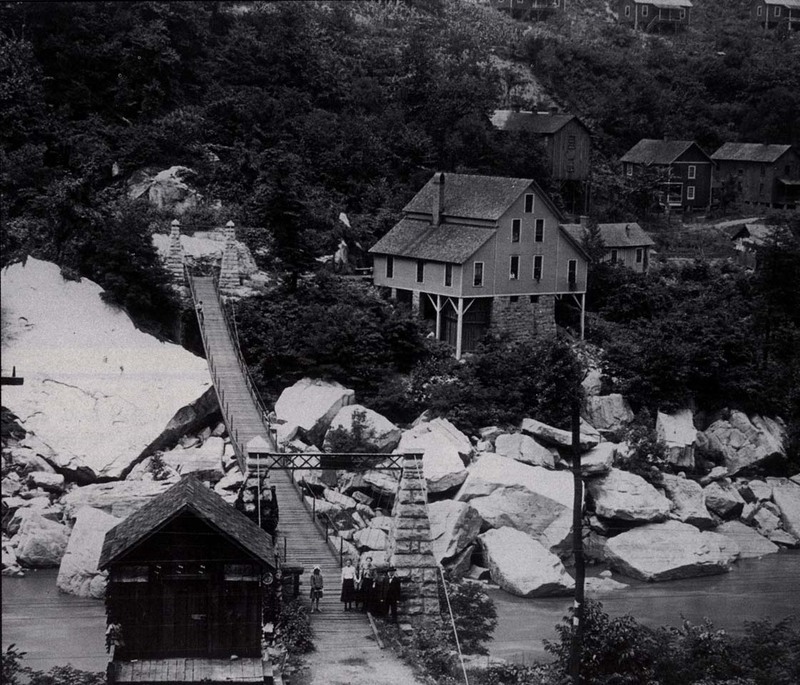 The C&O railroad was routed through the area shortly after, but the town was slow to grow with only one house constructed at the time. It was not until Thomas G. McKell of neighboring Glen Jean negotiated with the railroad for a branch up Dunloup Creek, that Thurmond became the boom town it was known to be, with the line becoming one of the railroad’s busiest branches. Despite this growth of business for both parties, McKell and Thurmond became bitter enemies. As most urban explorers usually find out, trips don’t always go as planned. 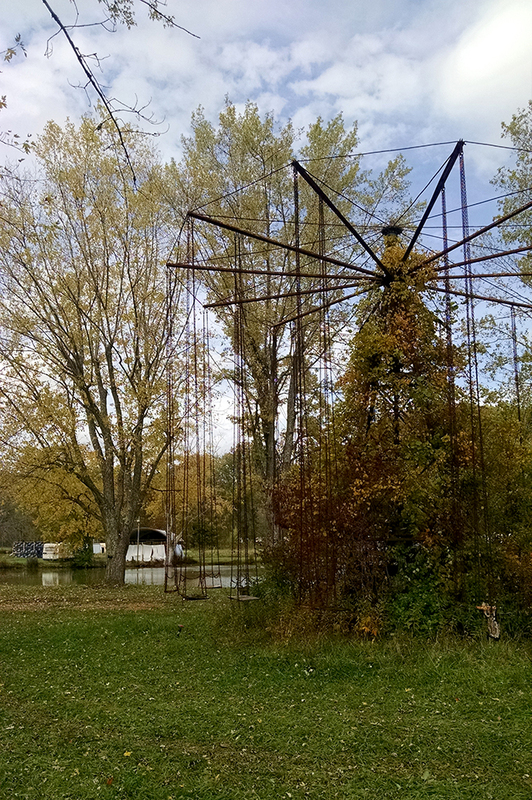 Our quick little road trip down South was supposed to hit Shawnee Lake, Land of Oz and Sherwood Forest, an abandoned renaissance fair. Moments before we left, I came across a comment warning “wear orange” if visiting Sherwood during hunting season. After looking into it further, yes, we were going during prime hunting season, and yes, visitors will be shot. I can handle the cops. I cannot handle Virginian hunters. In favor of not getting shot, we decided to scratch that from our list and visit a couple of West Virginia’s many ghost towns instead, which thankfully, they are not short on. The Boyce Thompson Institute is one of less menacing places I’ve visited. 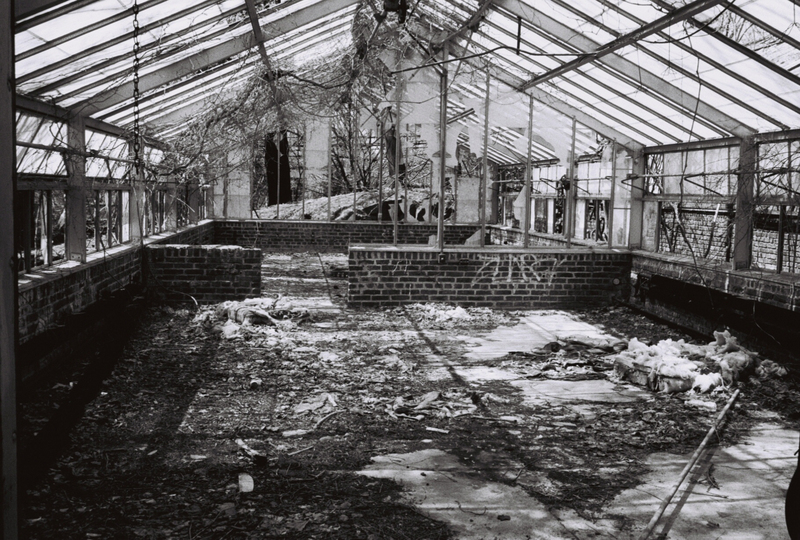 Located in an barren industrial park in Yonkers, with an Applebee’s directly across the way, this abandoned botany institute has been left alone for years, with the city hoping that some derelict will burn it down so they do not have to pay money to either raze or develop it (or so I’ve been told). The institute was initially founded by copper magnate William Boyce Thompson. The land was purchased in the early 1900s with the intent of building a summer home upon it (His Alder Manor still sits across the street from the institute. This, however, was purchased and renovated, now a prominent wedding venue). In 1917, Thomspson went to Russia with the Red Cross – a mission sent by President Woodrow Wilson to keep Russia in World War I and to encourage the formation of democratic governments (all under the guise of a relief mission, of course). With the Tsarist Monarchy recently overthrown in the Russian Revolution of 1917, the city lay in a state of poverty. Citizens were deprived of the basic human necessities, living in the streets, and slowly starving to death as a revolution tore cities apart around them. Deeply moved by what he saw, Thompson returned with a new mission: to help the needy in his own home by finding a sustainable food supply – and thus set out to build a horticulture institute on his remaining land. Sometime last year, around late summer or early fall the abandoned Shawnee Lake Amusement Park was getting a lot of play on various social media outlets, and probably Buzzfeed, because those two seem to go hand-in-hand these days. I saw a lot of posts from people saying, “Aw man! I wish I could go to that!” or tagging friends saying, “Let’s go!” I had been dating my not-yet-boyfriend for almost two months, and had already dragged him to two abandoned sites, so I figured it was time to take the next step in our relationship: a four day roadtrip to see dirt and debris of forgotten lands. So, rather than posting on Facebook, we hopped in a rental car and hit the road. Lake Shawnee, located in Princeton, West Virginia, and has been abandoned since 1966 and has quite the torrid past. Originally, it was the location for an Native American burial ground. In 1783, the site was desecrated by the Mitchell Clay settlers, when they decided that the burial ground was the perfect location for their farm, also making them the first white settlement in the county. Shortly after the family settled, a band of 11 Shawnee Indians attacked two of the sons while they were working outside. One of the sons, Bartley, was shot and killed. Tabitha, one of the daughters, ran to see what was happening, and also was stabbed and killed when she tried to attack one of the Shawnees (bad move, kid). After the two children were scalped and left for their mother to find their lifeless bodies, the other son, Ezekiel, was taken hostage by the group, where they tortured him and eventually burned him at the stake. Originally, on this outing, I had planned to go to the Bennet School for Girls in Millbrook, NY, a stunning old wooden structure built in the Victorian Era. Much to my displeasure, a brand new chain link fence with barbed wire had recently been erected around it, with signs threatening arrest. The most off-putting of all was that this was located in the middle of a housing tract where all of the residents appeared to keep a very close eye on the property. Every time we drove through someone was always watching. We parked the car to have a closer look, and people from a near by building stuck their heads out, and made sure we noticed that we were being watched. Sadly, it looks like the Bennet School is being chalked up as a loss for all future urban explorers. Not wanting to waste this trip, I checked in with my Google Doc (I keep a document with all of the abandoned places I want to visit, categorized by the area they are located. Hi – I’m a nerd), and saw that the Hudson River State Hospital was just a quick drive down the road. Trip saved! 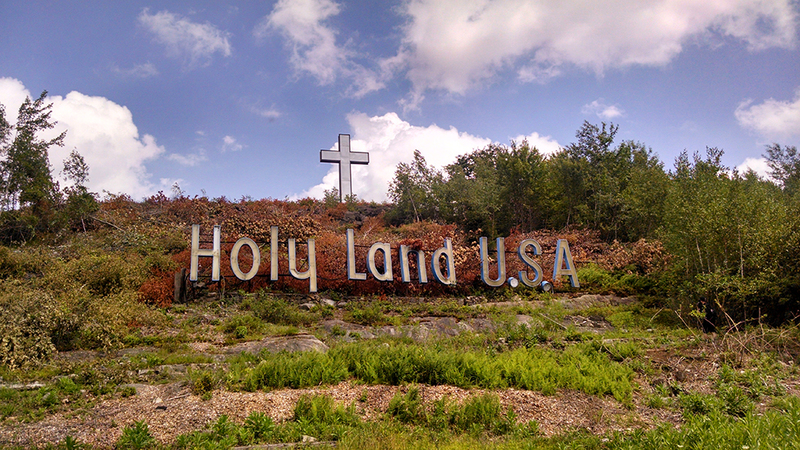 Holy Land USA is an 18-acre abandoned Catholic theme park located in Waterbury, Connecticut. How could I pass this one up? The park is located down a dead end road in a fairly sketchy looking neighborhood. (The grocery store, which we stopped into to grab snacks at the end of the day was something out of Repo Man with only non-brand products). 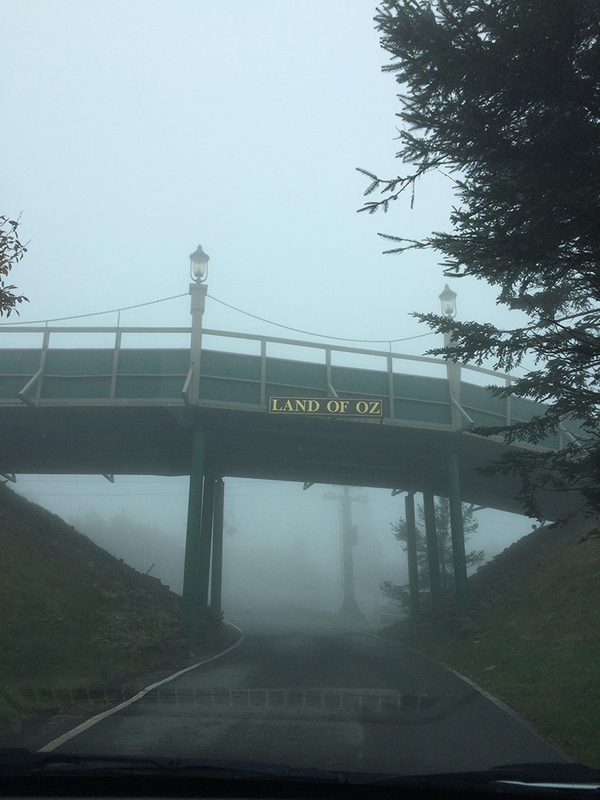 At the end of the road was a large looming entrance gate for the theme park, with several signs notifying that the park was video monitored and trespassers would be prosecuted. My prior research had told me that the signs were only scare tactics and there actually weren’t any cameras. So we parked right in front and started to walk in. 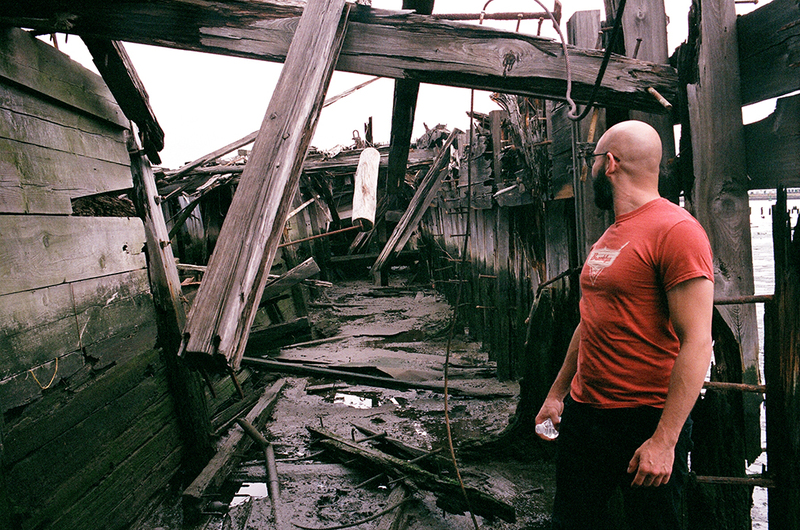 When I first started to date my boyfriend, I decided by our fourth date it was appropriate to drag him to the Arthur Kill Ship Graveyard in Staten Island. It was a little rainy and I didn’t quite anticipate just how muddy it was actually going to be. Wading through knee deep mud is romantic, right? I don’t think I’ve had so much mud caked on my body since playing high school soccer in the rain. But, neither of us lost a boot (we saw some abandoned shoes scattered throughout the space), he didn’t contract tetanus despite scraping his head on a rusty nail, and he still seems to like me, so I call that a success. 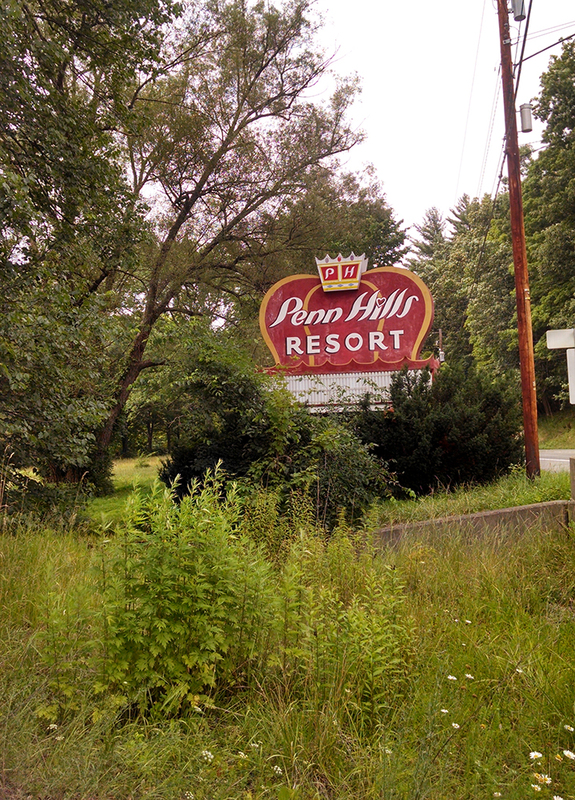 After threatening to start a blog to chronicle all of the photos I’ve taken on my abandoned travels, I’ve finally getting it together to do so – and to kick this off, I’m starting with my absolute favorite site I’ve visited to date: Penn Hills Resort.